Soldeu It comes alive in the winter months as a skiing town. 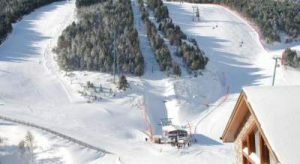 The skiing is on the Grandvalira ski resort, the largest in the Pyrenees with 193 km of runs. According to The Sunday Times, Soldeu is one of the three best budget skiing resorts in Europe. 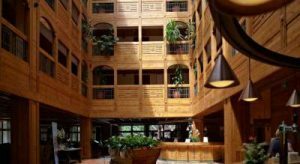 Carretera General, s/n, Soldeu Accommodation. 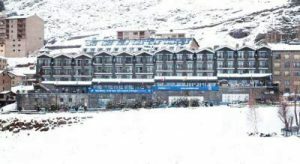 Sport Hotel Village is in Soldeu, right next to Grandvalira’s Ski Lifts. It offers a gym, a seasonal outdoor pool and a large children’s section with a soft play area and a ball pit. beautiful hotel, excellant accommodation, staff extremely helpful,,pleasant surroundings and good choice of menu. Excellant hotel . Friendly and attentive staff . Dinner buffet very good value . Carretera General De Soldeu S/N, Accommodation. 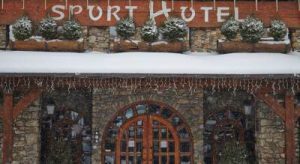 The Sport Hotel is a traditional, mountain-style hotel located in Soldeu, with easy access to the Grandvalira’s Ski Resort. This luxurious hotel features a spa, restaurant and an outdoor swimming pool. Carretera de Soldeu, s/n, Accommodation. Fabulous location, outstanding views as our room overlooked the ski slopes. Everything very convenient, supermarket, ski/boot hire, bars, etc. Thoroughly enjoyed our 5 days here and will definitely return. The Mountains of Andorra: Walks, Scrambles, Via Ferratas and Treks (Cicerone Mountain Walking). Guide to 60 walking routes in the mountains of Andorra. This guide includes 58 walk and scramble routes throughout the country, as well as 9 via ferrata routes and the 6-stage Andorra Circuit – a trek around the Principality.Covers Arinsal, Sispony, Arcalis and Angonella, Valls Sorteny and Rialb, Montcaup, Ordino, Casamanya, Valls del Riu, Ransol, D’Incles, Circ de Pessons, Cortals and Vall del Madrui. With 80 mountain lakes and a host of elegant peaks Andorra offers a breathtaking range of walks in a compact area. This is a country of high, rocky passes, snow-speckled summits, flower-strewn mountain meadows and grassy scoops of valleys. Take A Break Holidays takeabreakholidays, Soldeu Accommodation.